After seven years of marriage, Ruth and Ricky Dale Roberts separated in January of 1991. They divorced two months later, and four months after that, at about 5:45 p.m. on July 25, 1991, Rick shot Ruth five times in the back of the head with a .22-caliber rifle. Ruth, who was 30, died on the driveway of her house in Springtown, Ark. The couple’s children were at home when their father killed their mother. While married, Rick and Ruth Roberts worked together at McKee Foods in Gentry. In January of 1991, the same month Ruth and Rick separated, McKee — maker of Little Debbie snack cakes — fired Rick. Also that month, Ruth was hospitalized because of injuries caused by Rick. Melissa Smith, human resources manager at McKee and leader of Project Ruth, the company’s domestic violence awareness and education initiative, said the hospitalization triggered the separation and Ruth’s filing for divorce. Across the United States, more organizations are noticing the “signs” of intimate-partner violence – a new and more inclusive name for domestic violence – and, as Ruth’s coworkers did, helping victims get help. Despite the popular but crumbling perception that intimate-partner violence is a private matter, business leaders recognize many reasons to get involved. They value their employees as people and assets to the organization, and they want to be good corporate citizens. Furthermore, managers are beginning to acknowledge the extent to which intimate-partner violence affects organizations. In 2002, Liz Claiborne surveyed Fortune 1000 companies and found that two-thirds of executives indicated that their company’s financial performance would benefit if they did something to address domestic violence. One-third of the executives thought their company’s bottom line had been damaged by domestic violence. Specifically, executives recognized that domestic violence had a harmful effect on employees’ psychological well-being, physical safety, productivity and attendance. These opinions underscore a critical void in organizational research: No study has adequately measured the impact of intimate-partner violence on the workplace. Experts emphasized this fact at the 2004 Violence in the Workplace conference, sponsored by the National Institute of Occupational Safety and Health and the Centers for Disease Control, when they identified the lack of data on the business costs of intimate-partner violence as the primary area in which research is needed. A year before that conference, University of Arkansas management researchers Carol Reeves and Anne O’Leary-Kelly received $750,000 from the U.S. Department of Justice to fill part of this void. Last year the researchers released preliminary findings from the first large-scale study specifically examining the impact of intimate-partner violence on the workplace. Their work continues, but they have more to share about the prevalence of intimate-partner violence, its personal and professional impact and its costs to organizations. Reeves and O’Leary-Kelly gathered data from three organizations based in a Southern state. Each organization agreed to participate in a study of work-family balance. The first organization, an insurance provider, employed 2,552 people, most of whom were women. The second organization was an educational institution with 1,550 employees, evenly divided between men and women. The third organization was a large transportation company with a primarily male work force. With similar response rates across all three organizations, 2,374 workers participated in the study. A company executive, typically a human resources representative, informed employees about the study via e-mail and solicited participation in a Web-based survey. To ensure anonymity, the survey was based on the researchers’ server. Participants were not asked to identify themselves, and because of the sensitive nature of the questions, respondents were asked at several points in the survey if they felt uncomfortable. If their answer was yes, they were then asked if they wanted to continue. Those who said they did not wish to continue were directed to referral information for partner-violence counseling in their area. Participants first answered general questions related to personal and professional well-being and work productivity. The survey then asked questions about intimate-partner violence. People who reported current victimization – abuse in the past 12 months — were asked if these events had occurred at work. These individuals were then asked to consider the past year and try to identify the frequency with which they had experienced many types of abuse, including stalking, which was defined as a pattern of unwelcoming and harassing contact, such as unwanted phone calls or e-mails that scared the victim. Reeves and O’Leary-Kelly measured frequency on a five-point scale with 1 representing never, 2 for sometimes, 3 for fairly often, 4 for often and 5 for frequently. They tabulated victimization in two ways to determine victim and non-victim categories and to measure mean level of experience. It is important to note that all respondents who answered 2 (sometimes) or higher were categorized as victims. Lifetime victimization – abuse experienced beyond the past 12 months – was measured and classified on the same number system. Respondents also answered questions about personal well-being (self esteem and depression), professional well-being (perceptions of economic self-sufficiency and family-work conflict) and work productivity (missed work, including whole and part days missed, and disengagement and/or distraction while at work) as they related to intimate-partner violence. Several components of the research design and methodology deserve attention before discussing the researcher’s findings. In previous national studies on intimate-partner violence among the general population, researchers interviewed subjects by phone or in person in the subject’s home, which, in many cases was the very place in which much, if not all, of the violence occurred. When considering victimization rates, this fact cannot be ignored. Knowing that response rates in organizational research are often less than 50 percent and even smaller with high-level managers, Reeves and O’Leary-Kelly worried that employees who responded to their survey would somehow differ from those who did not. They were especially concerned about biases related to victimization. Because victims probably live in a fearful state, would they be less likely to respond than non-victims? The researchers guarded against this limitation by presenting the survey as a study on work and family issues rather than a specific project about intimate-partner violence. Thus, it was not evident to respondents that they would be asked questions about intimate-partner violence until after they had begun the survey. that they were experiencing or had experienced such violence. “However, we did not see a significant number of respondents choose to stop taking the survey at that point,” said Reeves. As one might expect – considering the strengths of the research method – raw numbers gleaned from Reeves and O’Leary’s study are not pretty. Victimization percentages were significantly higher than those reported on a major, 10-year-old study sponsored by the Centers for Disease Control. In the UA study, nearly 20 percent of men and 30 percent of women had previously experienced intimate-partner violence. Ten years ago, the CDC study reported only 7.9-percent lifetime victimization for men and 25.5 percent for women. Current victimization rates, also higher than the CDC study, surprised Reeves and O’Leary-Kelly, not simply because the rates were so high but because they were the same – 10.3 percent – for male and female employees. This means that if their findings apply nationally, one out of every 10 U.S. employees, regardless of gender, has been threatened, stalked, hit, pushed, forced into an unwanted sexual act, slapped, kicked, punched, scratched, bit or otherwise physically harmed by an intimate partner in the past year. Because this finding was not expected, Reeves and O’Leary-Kelly devoted further analysis to answering two questions: Why were their current victimization rates so much higher than the CDC’s, and why did it appear that men are abused as much as women? They hypothesized that maybe rates of intimate-partner violence have risen substantially in the past 10 years. However, the U.S. Bureau of Justice Statistics reported that family violence declined dramatically from 1993 to 2002. Could their victimization rates be so high because the study was done on companies headquartered in a Southern state with historically high rates of intimate-partner violence? This explanation seemed implausible because about one-fourth of the respondents were from outside the state — although based in the Southern state, the companies had operations in 38 other states. Moreover, Reeves and O’Leary-Kelly compared responses between the in-state and out-of-state workers and found that prevalence rates of current victims were higher for those living outside the state. Why did it appear that men were abused as much as women? Victimization rates – the percentage of the study’s population – are different than frequency and types of violence experienced by male and female employees. contributed equally to the overall percentage of current female victims. For example, of all respondents who had experienced physical aggression in the past 12 months, 53 percent of women but only 27 percent of men reported experiencing it more often than “rarely.” Thirty-three percent of women and 18 percent of men reported experiencing physical aggression “sometimes,” while 16 percent of women and 6 percent of men experienced it “fairly often.” Finally, the percentage of women experiencing it “frequently” was 4, versus 3 percent for men. While violence affects employees and organizations, not all of it occurs within the home. One out of five current victims in the UA study reported they had been abused by an intimate partner while at work. Again, if their findings apply nationally, this means that a company with 2,000 employees has at least 200 workers who have experienced intimate-partner violence in the past year. About 40 of these workers experience some kind of abuse at work. Reeves and O’Leary-Kelly’s findings, similar to those of other studies, show that intimate-partner violence has a profoundly negative impact on people and organizations. Victimized employees in their study missed work more often than non-victimized employees, had more difficulty concentrating and experienced higher levels of depression and lower levels of self-esteem. Although most findings were consistent with national studies of the general population, Reeves and O’Leary-Kelly reported one new finding: With regard to personal well-being, the negative effects of intimate-partner violence are not limited to women. Current male victims also reported lower levels of self-esteem and higher levels of depression compared to non-victimized men. Female victims reported more difficulty balancing family and work demands and less confidence in their abilities to financially support themselves and their families. In fact, among all current victims, only women reported negative effects on family-work conflict and economic self-sufficiency. The researchers emphasized the significance of this finding because previous research has established the importance of income to the likelihood of abuse. As predicted, the researchers discovered that intimate-partner violence had a negative impact on worker productivity, which is directly linked to greater costs for organizations. Specifically, lifetime victims were more likely to miss work than non-victims, a finding that suggests intimate-partner violence creates long-term, negative health effects. For example, male lifetime victims missed an average of 104.11 hours per year, while non-victims missed an average of 70.8 hours per year. Female workers who had experienced abuse at some point in their lives missed an average of 138.46 hours per year; female non-victims were absent an average of 109.62 hours. A somewhat surprising finding was that current victims were no more likely to be absent than non-victims. 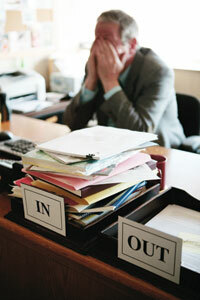 The researchers speculated that work attendance might serve as a coping mechanism for some victims. For others, strong attendance may reflect the need to keep their job to maintain economic power that will help them escape an abusive partner. The researcher’s examination of intimate-partner violence’s influence on tardiness revealed that current victims were more likely to be tardy than non-victims, but the difference in rates was barely significant. Although current victims seem to be at work as much as non-victims and are late for work only slightly more often than non-victims, that doesn’t mean they are productive while at work. Current victims reported higher levels of distraction compared to non-victims. Reeves and O’Leary-Kelly calculated that distraction caused male employees who had experienced abuse within the past year to miss an average of 243.72 hours of work per year. Male non-victims missed an average of 202 hours annually because of distraction. While current female victims missed an average of 248.55 hours per year because they had problems concentrating or had to do work over, distraction only caused female non-victims to miss an average of 175.58 hours per year. When comparing lifetime victims to non-victimized employees, Reeves and O’Leary-Kelly found no differences in levels of work distraction. Also, negative effects, particularly those related to work productivity, appeared to diminish over time. Given the disparities between victims and non-victims in work hours missed because of absenteeism, tardiness and distraction, it is reasonable to assume that intimate-partner violence creates significant costs for companies. The CDC estimates that intimate-partner violence is responsible for a staggering $5.8 billion annually in medical costs and productivity losses – both at work and at home. To measure costs due to absenteeism, tardiness and distraction, Reeves and O’Leary-Kelly multiplied the total amount of work hours missed, including time at work but not productive due to distraction, with respondents’ salary information. Again, lifetime victims had a greater impact. Male employees who had experienced abuse at some point in their lives cost employers an average of $2,583 a year due to absenteeism. In contrast, male non-victims cost employers an average of $1,758 annually because of absence from work. Annual absenteeism costs were an average of $2,331 for female lifetime victims and $1,953 for non-victims. Current male and female victims also cost their employers more than non-victims due to absenteeism, but those costs were not as dramatic as the costs from lifetime victims and were not significantly more than absenteeism costs associated with non-victims. Also, current and lifetime victims, both men and women, cost their employers more than non-victims due to tardiness. Reeves and O’Leary-Kelly were surprised to find that victimization did not predict work-distraction costs. Male and female non-victims reported salaries much higher than current victims. Across all three organizations, male non-victims earned an average of $66,277 a year, while current and lifetime male victims earned average annual salaries of $48,749 and $57,563, respectively. Non-victims earned an average of $40,481 annually, while current female victims made an average of $33,426 a year. Interestingly, lifetime female victims reported an annual average salary of $41,233, $752 a year more than non-victims. Reeves and O’Leary-Kelly’s research illustrates that employer concerns about the effects of intimate-partner violence are legitimate. But many employers don’t know what to do. Traditionally, they have viewed victims as a liability, and one tack has been to terminate victim-employees and rid themselves of the problem altogether. Other employers ignore the problem or argue that it is a private matter. Legally and ethically questionable, these approaches also are based on flawed logic, Reeves said. Many employees successfully disguise their victimization, but that doesn’t mean they aren’t negatively affected by it while at work. Because they succeed at hiding it, their employer may know about only a fraction of the victimization or none at all. Also, because of intimate-partner violence prevalence, it would be difficult for business organizations to terminate all victims even if they knew who those employees were. Future research will examine the extent to which these and other programs can minimize organizational costs due to intimate-partner violence. Reeves is an associate professor in the department of management. She holds the Cupp Applied Professor of Entrepreneurship. O’Leary-Kelly is a professor and chair of the management department in the Sam M. Walton College of Business. She holds the William R. & Cacilia Howard Chair in Management.